Water conservation is important. Don’t hand water your lawn, get an irrigation system that is eco-friendly! When it comes to irrigation and water conservation, many of us could be doing more to engage in both cost effective and environmentally friendly habits. Below you will find some irrigation and and landscaping tricks to help aid with water conservation as it applies to irrigation systems. Some water providers conduct irrigation audits for either free or at a very low price. Check with your water provider, because even they personally do not offer irrigation audits, they can definitely point you in the direction of local irrigation auditors. This auditor will carefully inspect and test your irrigation system to make sure it is effectively working and water conservation friendly. Once you have their suggestions in hand, you will be able get quotes from landscapers in regards to any repairs or updates you require. Adjust your irrigation controller, or timer, once a month to account for seasonal changes in weather. 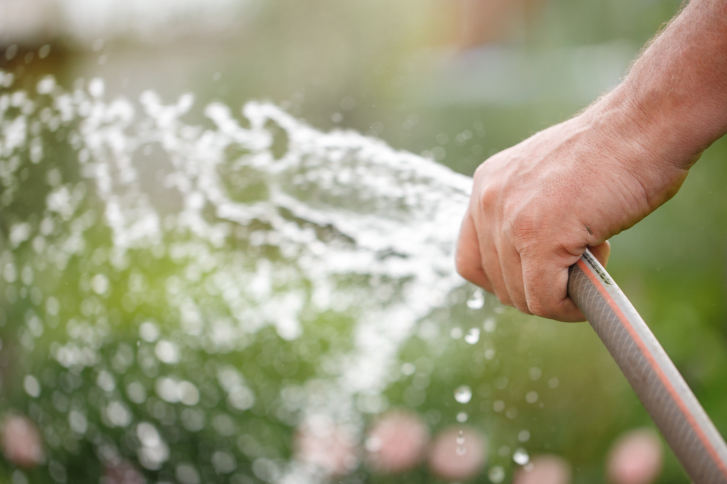 Making this change every month will prove more useful toward water conservation and saving money than any other step you can take with your irrigation system. It costs nothing but a few minutes a month, and most timers have keys which make using them easy and painless. Doing this weekly will create even larger savings, but monthly will do well enough if you do not have the time for weekly adjustments. Run your irrigation system during the morning hours rather than the afternoon. This is key, especially if your irrigation system includes sprinklers. Less water is lost to evaporation beneath the hot sun when the temperature is cooler, as it tends to be during the morning hours. In most areas, wind is also not as big of a problem in the mornings. Utilizing your irrigation system to take advantage of the evening’s cooler temperatures however, can lead to plant disease problems due to the water sitting on plants all night. This is especially not recommended in humid climates. This entry was posted on Friday, May 13th, 2016	at 5:22 pm	. You can follow any responses to this entry through the RSS 2.0	feed. Both comments and pings are currently closed.